How could Smart 9-1-1 help me For EMS Related Calls? Tell Smart911 about your family’s medical issues – like heart conditions, allergies and stroke history. This way when 9-1-1 receives a call, EMS will arrive with the appropriate equipment. For those who have a family member with Alzheimer's, Autism or who is deaf, this service helps as well. Instantly 9-1-1 knows the caller's condition and location without having to rely on verbal communication. How could Smart 9-1-1 help me with Law Enforcement Related Calls? Smart911 information can help law enforcement in numerous ways. Today when a child goes missing, it takes time for police to obtain a photo of the missing child. With Smart911 police will have that photo instantly and can begin a wide scale search sooner. How could Smart 9-1-1 help me with Fire Department Related Calls? With Smart911, call takers can notify firefighters of exactly how many people live in your house - including pets - to ensure that everyone is rescued during a fire. Additionally, if you live in an apartment building, firefighters will not only know the address, but the floor and apartment number as well. 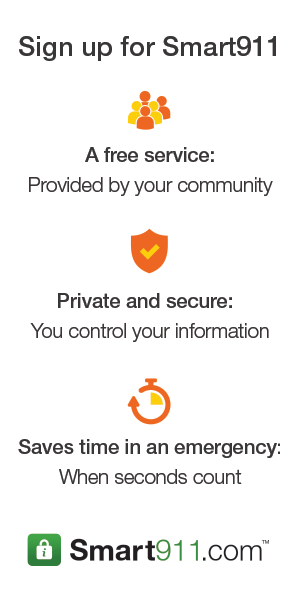 Is my information kept private by Smart911? Your family's profile information is completely private and secure. The details you enter on Rave's secure and protected website are only shared with 9-1-1 dispatchers and first responders in the field, and only when you or your family members dial 9-1-1 from a phone number listed on the account. Will someone help me with a Smart911 account? YES - Call Pike County EMA 334.566.8272 or Pike County 911 334.670.6600. We are at the following locations from 9am - 2pm. ​What type of alerts can I sign up for? We are working on adding more types of alerts so check back regularly. ​How can I receive alerts? ​Sirens are an older technology that are only intended to alert people outdoors within a 1 mile radius of the siren on a clear day. Sirens are only used for tornado warnings. Sirens are vulnerable to lightning strikes and are very expensive to replace and maintain. With a mass notification system such as Rave Alerts, Pike County is able to reach a much larger population and provide them with more types of alerts, and more information related to the alert. With Rave Alerts you can receive alerts indoors, outdoors, and even when you are on the go, depending on the form of communication that you have selected to receive alerts by. Alerts are provided by Pike County at no cost to the public; however, message and data rates may apply depending on your provider and phone services. ​Who can sign-up for Pike County Rave Alerts? ​Pike County Rave Alerts powered by Smart911 is available to anyone who lives, works, travels through, or visits Pike County. The address can be your home location, work location, or any other location you care about. ​Will I receive alerts if I don’t sign-up? No, not from Pike County Rave Alerts. ​When will I start receiving alerts? 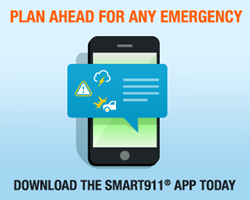 ​Once you have signed up online at smart911.com to receive alerts and confirmed your contact information within the system, you will begin receiving alerts.